Internal communications that always arrive and are always seen. Never doubt again whether your employees have seen, read or heard your messages. Cornero ensures full attention to your communications. Cornero is an Internal Communications Multimedia software that can guarantee two things: your employees will receive important messages instantly and pay immediate attention to them. With Cornero, your messages always arrive and are always seen. Quite simply: Using Cornero, you can send content that appears in the foreground on your employees' screens: PCs, Notebooks, Smartphones, Tablets, etc. In a world saturated with information, Cornero helps you overcome a major challenge for internal communications: ensuring your messages not only reach your employees, but are also seen, read and/or heard. How important is it to know that your employees actually see the information as soon as you send it? Send messages in any format: Video, Text, Audio and Images. Send immediately or schedule distribution for a specific time and date. Receive immediate feedback via surveys, polls, competitions, chats and several different channels. Segment your message audience (individuals or groups). Set the message size and position, as well as the display mode (Always On Top, Normal or Silent), on employee screens. BENEFITS What are the advantages? Traditional internal communication tools do not guarantee that people will pay attention to important messages. Employees sometimes open emails too late (or never), ignore posters, flick through in-house magazines, visit the Intranet infrequently or fail to turn up for meetings. With Cornero, your messages always arrive and are always seen, read and heard. Cornero lets you schedule messages to keep appearing on the screen until your entire audience has viewed them. Cornero is an Internal Communications Multimedia because you can send messages in any format: Video, Text, Audio and Images. Cornero lets you program every message you want to send today, or this week, month or year. Cornero lets you combine every communication format in a single message. For example, send an employee a video, followed by a text message, and then ask for a response to a question while keeping a chat window open to interact with colleagues. Cornero does not replace any other internal communications channels your company currently uses. On the contrary, it complements and strengthens them. Cornero lets you reduce the number of messages sent using alternate channels, especially email. By doing so, it helps increase the efficiency of internal company communication. Cornero lets you manage the direction of internal communications: Descending (from the company to employees), Ascending (from employees to the company), and Horizontal (between employees). Cornero offers every metric you could want: who has seen your message, when, viewing duration, who shut down the screen before the message ended, who responded or not, etc. This offers the feedback you need to improve your campaigns. The tool is very easy to manage and requires no support from your IT department once installed. Unlike traditional methods which require employee interaction to access the message (open an email, access the Internet, stop in front of a poster, open an in-house magazine), with Cornero the information reaches them without any requirements. Cornero is integrated with all technology platforms: Windows, Mac and Linux. You can use Cornero as frequently (or infrequently) as you want. For example, when producing an in-house magazine you commit to produce it with a specific frequency (monthly, bi-monthly, etc. ), but Cornero can be used whenever the need arises. How it works Cornero sends content to the foreground of your employees' PC or mobile screens. 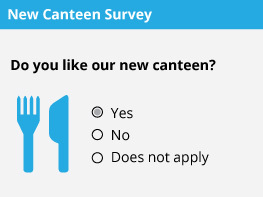 The company has refurbished the canteen and wants to know what its employees think. 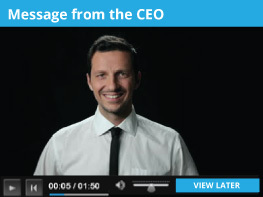 The CEO has an important announcement to make and wants everyone to watch a video he recorded. Remind all employees first thing about a change taking effect today, via their screens. 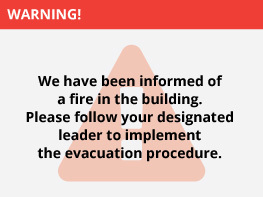 Notify people they need to immediately evacuate the building. 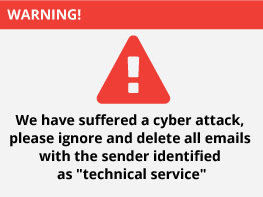 Notify people the company has just been the victim of a cyber-attack and that no-one should open a specific email. Notify the call center of an incident so that it knows how to respond to callers. The company is organizing its Christmas party and quickly wants employees to vote for their favorite band. A group has just finished a training course and on returning to their desks, you ask for an evaluation. 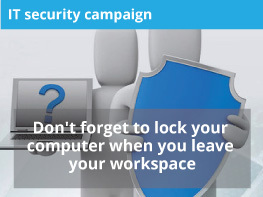 Reinforce key company security messages. Send a reminder to participants an hour in advance of a meeting. 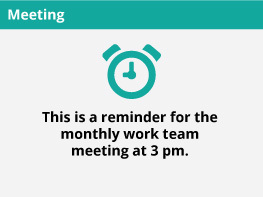 Remind employees that working hours are different today. 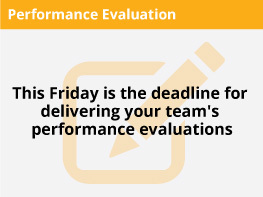 Send leaders a message to remind them they have to submit their performance assessments this week. Cornero ensures full attention to your messages. Is Cornero easy to manage? Cornero is quick and easy to use. It is as easy as sending an email. Select the message, the recipients, the date and time you want it to be seen, and... "send". It is a high-technology tool designed for internal communications. It is very user-friendly and intuitive. I already have internal communications tools - why do I need Cornero? Cornero complements and reinforces your other internal communication platforms and channels. It does not compete with them, but rather helps you use them the way they were designed to be used. Can Cornero integrate with and adapt to my technology platform? Yes. Technology is not a barrier. This is not a concern. Cornero adapts to your company's platforms. 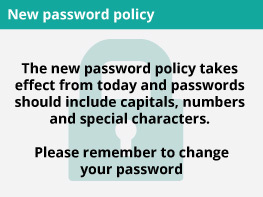 For example, it can also integrate with an LDAP user list. Who will "own" Cornero within the company? Cornero is an easy-to-use communication channel. This means you can manage it yourself without support from your company's IT department. Will I have to produce any special content for Cornero? No, everything you want to send your employees can be produced using Cornero, for example: a banner, photos, a video... No adaptation needed, it is all quick and easy. You can generate content such as Text, Surveys or Presentations directly from the BackOffice. Does Cornero use a lot of bandwidth? Cornero does not use much bandwidth even when sending heavy media like videos, because you can select a specific time of day to send it. For example, you can send a video at night, leaving it to upload and schedule it for viewing the following day at a specific time. All communication media have their own production, distribution and consumption logic. Cornero does too. 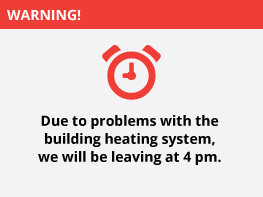 This is why we produced a User Manual with ideas on how to best use the system. When used responsibly, Cornero is not invasive. On the contrary, it is highly valued by employees. What happens if I am in a meeting? 1- Always On Top: always visible in the foreground. 2- Normal: Visible, but may be kept in the background. 3- Quiet: does not interrupt the employee. This mode can be configured for a specific duration. Reach all your employees, wherever they are, on any technology platform, with just one click. Preconfigured Cornero installation, Plug & Play. Ideal for agile companies with a moderate number of employees looking for a fast installation process that requires few adaptations. This is a fixed price model that includes a perpetual Cornero user license and support services for installation and deployment throughout the organization. We also offer an additional annual support service for assistance and access to new versions. Ad-hoc installation, tailored to the customer's specific business needs and technology requirements. Ideal for global companies with a large number of employees and high corporate standards that require a solution with significant adaptations. This is not a per-user model, but rather defined by the scale of the solution required. The price includes a perpetual Cornero user license and adaptation, installation and deployment services. Cloud installation, tailored to specific business and technology requirements. Ideal for cloud-oriented companies whose employees work remotely. This is not a per-user model, a monthly fee is charged with a single set-up fee depending on the scale of any adaptations required. The monthly fee includes hosting, user licensing, support and access to the latest version. Cornero is developed by Certant, an Argentine company specialized in high traffic/availability Software Engineering project development, strategic planning and implementation for Identity Management solutions, and design & development of Innovative Technology Solutions . Certant has been serving world class companies across a range of industries since 1999, with tailored technology support, IT solutions implementation and business software development.